On the 11th (Sat), cruise along The Great Ocean Road and then take some stellar pictures from Point Danger Lookout. Kuala Lumpur, Malaysia to Torquay is an approximately 14-hour combination of flight and bus. You can also do a combination of train, flight, and bus; or do a combination of bus and flight. Traveling from Kuala Lumpur to Torquay, you'll lose 2 hours due to the time zone difference. Traveling from Kuala Lumpur in May, expect Torquay to be colder, temps between 20°C and 8°C. Wrap up your sightseeing on the 11th (Sat) early enough to travel to Hastings. St Kilda is an inner suburb (neighbourhood) of the metropolitan area of Melbourne, Victoria, Australia, 6 km south-east of Melbourne's Central Business District. 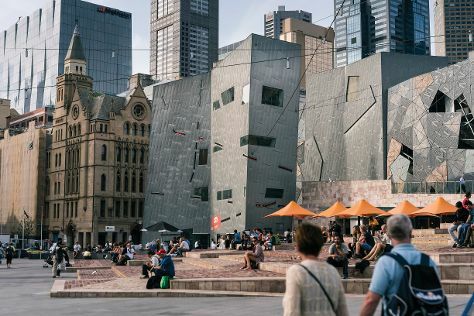 Your list of things to see and do now includes Royal Exhibition Building, Federation Square, Melbourne Laneways & Street Photography Tours, and other attractions. On the 12th (Sun), browse the eclectic array of goods at Queen Victoria Market, then capture your vacation like a pro with Melbourne Laneways & Street Photography Tours, then see the interesting displays at Federation Square, and finally admire the striking features of Royal Exhibition Building. Keep things going the next day: enjoy some diversion at Fred Smith Reserve, then look for all kinds of wild species at Moonlit Sanctuary Wildlife Conservation Park, then do a tasting at Stumpy Gully Winery, and finally stroll around Warringine Park. For ratings, where to stay, other places to visit, and other tourist information, read our St Kilda route website . Drive from Torquay to St Kilda in 1.5 hours. Alternatively, you can take a train; or do a combination of bus and train. Expect a daytime high around 20°C in May, and nighttime lows around 10°C. Finish up your sightseeing early on the 13th (Mon) so you can travel to Hastings. Hastings is a suburb of Melbourne on the Mornington Peninsula, Victoria, Australia, as a part of the urban enclave on Western Port comprising Hastings, Bittern, Crib Point, Tyabb, and Somerville. Before you visit Hastings, use our trip planner to discover what you can do and see there. Drive from St Kilda to Hastings in 1.5 hours. In May, plan for daily highs up to 20°C, and evening lows to 10°C. You'll set off for Newhaven on the 14th (Tue). Newhaven is a town in southern Victoria, in the south Gippsland region. Your day-by-day itinerary now includes San Remo Fisherman's Co-op and Pelican Parade as well as Penguin Parade. 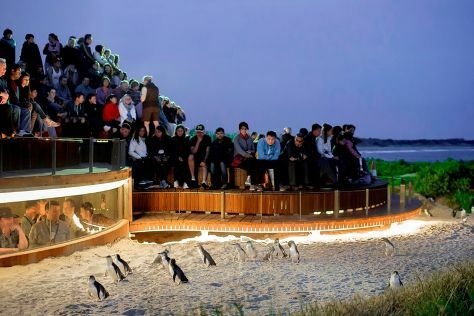 Kick off your visit on the 14th (Tue): step off the mainland to explore Churchill Island, then get to know the resident critters at The Nobbies Centre, then head off the coast to Koala Conservation Centre, and finally look for all kinds of wild species at Penguin Parade. 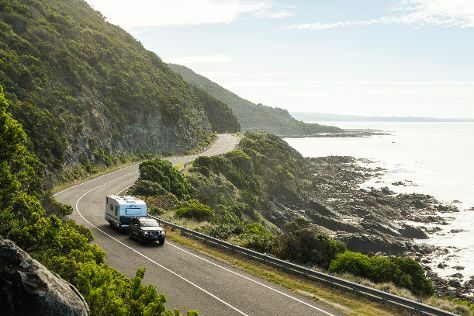 Get ready for a full day of sightseeing on the next day: learn about all things military at National Vietnam Veterans Museum, then head outdoors with San Remo Fisherman's Co-op and Pelican Parade, then look for all kinds of wild species at Phillip Island Wildlife Park, and finally take a leisurely stroll along Rhyll Jetty. For photos, where to stay, ratings, and tourist information, use the Newhaven road trip planning website . Drive from Hastings to Newhaven in 1.5 hours. In May, daily temperatures in Newhaven can reach 20°C, while at night they dip to 10°C. Cap off your sightseeing on the 15th (Wed) early enough to go by car to Werribee. Werribee is a suburb of Melbourne, Victoria, Australia, 32 km south-west of Melbourne's Central Business District, located within the City of Wyndham local government area. 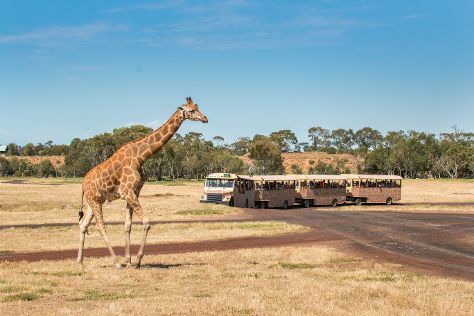 Kick off your visit on the 16th (Thu): learn about wildlife with up-close encounters at Werribee Open Range Zoo and then take in nature's colorful creations at Victoria State Rose Garden. For other places to visit, ratings, where to stay, and more tourist information, use the Werribee trip builder app . Drive from Newhaven to Werribee in 2 hours. May in Werribee sees daily highs of 20°C and lows of 9°C at night. On the 17th (Fri), you're off tohome.